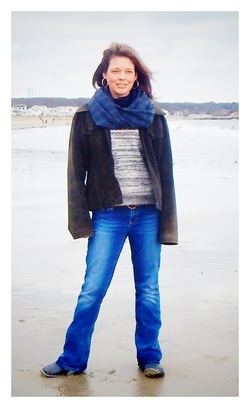 Suzie Hearl Canale grew up in Andover, Massachusetts and is a graduate of the Business Program at Salem State College. She began writing as a children's book author after a twenty-five year career within the wholesale floral industry of Boston where she was inspired by flowers named after child friendly foods. She developed the concept of "The Beantown Tales", her first book series, which are geared towards educating children towards implementing positive changes within the key concerns of society. Since, she has published "Boston, You're My Home" and several adult short stories. Suzie’s books are the proud recipients of several awards including 8 Honorable Mentions in the New York, New England, Great Midwest and Hollywood book festivals as well as earning 2011 Green Book of the Year from Green Schools of Massachusetts and 2012 Author of the Year from Mascot Books. Recently, she was named "Winner" for her first juvenile fiction manuscript, "Boys Will Be Boys", which she hopes to be published in the near future. As she continues writing books, articles and blogs for online websites, magazines and local businesses, she is also the founder/executive director of The Women's Locker Room Foundation, Inc., a not-for-profit whose mission is to supply cleaning, sanitary and beauty products to homeless and newly housed women of New England.